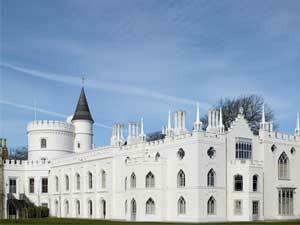 Following the phenomenal success of the ‘Lost Treasures of Strawberry Hill’ exhibition, the Painted Glass Guided Tours are available for visitors to book once more. Detailing the remarkable painted glass of Strawberry Hill, specialist guides lead an all-access tour that focuses on Horace Walpole’s magnificent collection of 16th and 17th Century glass. The restoration of the glass was generously supported by The Country Houses Foundation as part of Strawberry Hill’s £10 million restoration.